So brand new site and domain name – what’s the deal? I decided my first post here should answer the first two most obvious questions – why did I set up SoCal Pro Rider and what is a Pro Rider? You’ll find answers to these below. As this site grows, I hope it will become a much-visited destination for riders of all ages and experience levels as we attempt to pass along many years of road-riding experience on to our customers and the pages of this site. We also offer personal advanced riding instruction (on-road, 1-on-1). Details are on the Advanced Rider Courses section. Why did you set up SoCal Pro Rider? I’ve had my full UK Category A motorcycle license since 2001 and have used it out here in Cali with no problems, but after a change of jobs, I decided it was time to get my California M1 motorcycle license. There is no fast-track for experienced riders to an M1 license in Cali so I had to go through the same steps a novice/beginner rider must to obtain their M1 license. I had to get my learner’s permit (!) and I decided to take CHP’s Motorcyclist Safety Program (CMSP) over the faintly ridiculous motorcycle riding test at the DMV (more on that later) because I wanted to experience what the training was like out here. Getting my M1 license was an interesting experience…! Unfortunately I don’t mean “interesting” in a good way. The process left me shocked and surprised… The poor level of requirements from the CA DMV and the lack of protection given by California law to motorcyclists was bad enough, but the thing I found most shocking were the bad habits taught throughout the CHP-sponsored Motorcyclist Training Program to countless classes of new and inexperienced riders. SoCal Pro Rider was born. 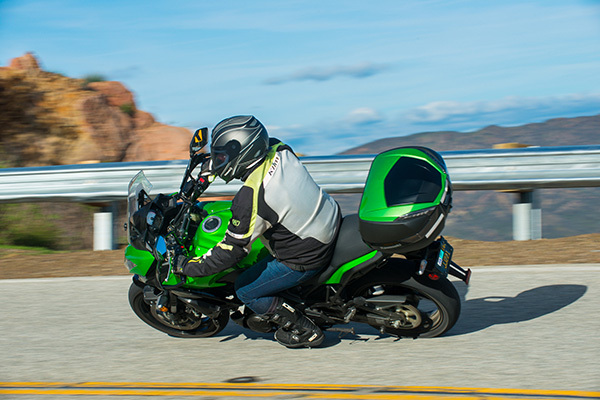 Through a mixture of 1-on-1, advanced road-riding instruction and online tutorials, articles, videos; the goal of SoCal Pro Rider is to fill the gaping holes the DMV, CMSP and poor-to-non-existent advanced rider training have created by informing, educating and promoting advanced riding techniques to the larger motorcycle riding community. I hope you will learn something from this site that you can use to build into your riding that makes you a better, and therefore *safer* rider. Ultimately, I hope you decide to nudge your riding skills up several notches and book an advanced rider course. 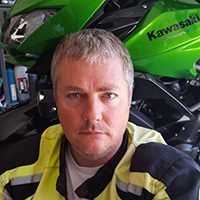 I teach a mixture of the European (UK) police pursuit method and my own in-house system garnered through collective decades of riding experience to bring you the finest advanced riding courses in the country. You *will* leave me a massively better rider than you were before. I get asked this a lot so would like to take a couple of lines to explain exactly what this is. It is a deliberate, skillful and responsible riding technique admired by others. As an advanced rider, you are able to anticipate and control situations to reduce your accident risk. An advanced rider is equipped with the expertise, knowledge and skills to ride safely and effectively in all conditions. I hope you enjoy browsing the site. Please feel free to drop me a line or leave a comment in the comments section.